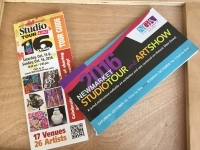 Beach Studio Tour - Great Opportunity to See Talented Toronto Artists! A group of talented Toronto 'Beach' artists are opening their doors and welcoming art-curious guests inside their studio this weekend. Don't miss this opportunity to explore the talent that exists in this beautiful east-end Toronto neighbourhood! 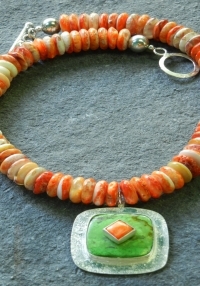 Jeannine Rosenberg's jewelry creations combine a deep love of beauty and history. 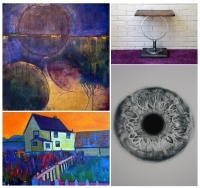 This weekend you can meet the artists and browse the work of Colin Whitebread, Sarah Holtby, Carolyn Bather, and Mike Wilkins as part of 9th Annual Durham West Studio Tour April 22-23 10am-5pm. Uxbridge Ontario Painter & Photographer Max Kalin is packing up and moving north. Uxbridge is certainly going to miss him! 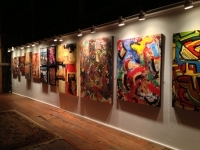 But before he packs up and heads north he's having one last Art Barn Exhibition & Sale. Last weekend wasn't the studio tour weekend for just one locality but two! Double the studios, double the driving, and double the talent worth discovering. A feast for the senses! 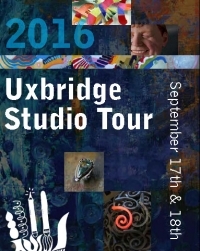 We hope to see everyone at the Uxbridge Studio Tour (September 17 & 18) – one of the most popular annual art events in north Durham Region! Please check out our Events Calendar for workshops, art tours and other events that art-lovers love! Daniel Colby specializes in striking commissioned portraits of all subjects and ages, even your four-legged familiy members. Daniel divides his time between Montreal, QC and Uxbridge, ON. Daniel tells us a little more about himself and his work. Join our mailing list. 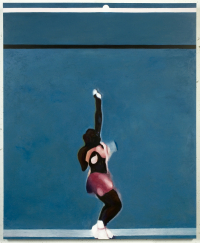 Be part of the new art conversation. Enter your email address below. Then, watch for an opt-in confirmation in your inbox and click 'yes' to join The Artist's Page email list.